Welcome to Spanish Adventures! I’m Garry, an independent outdoors guide who has been helping people walk the various Camino de Santiago routes for over 10 years. 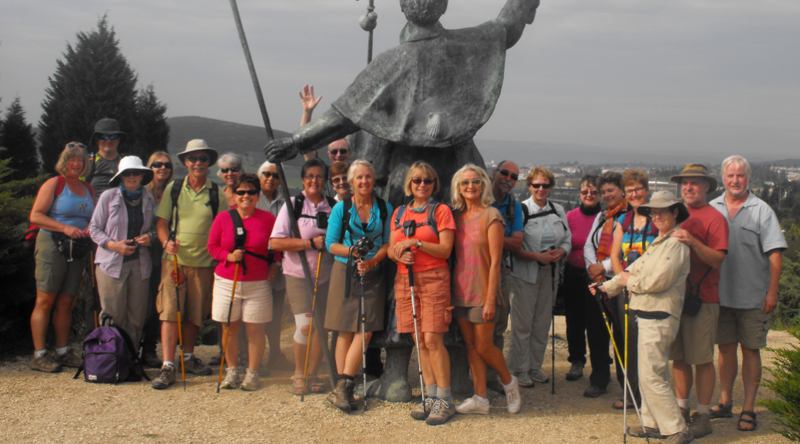 I can also offer a wide range of other walking, trekking and cycling tours in Spain and Portugal and have experience trekking all over the world. The tours include (as required) myself as guide, food and accommodation to your standard, any transport or support vehicle, as well as transfers of luggage. My first priority to clients is always safety and after that I strive to ensure you enjoy the great Spanish and Portuguese outdoors and culture. I am vegetarian so am sensitive to clients’ dietary requirements, and I use accommodation that is both good value, good standard and operated by friendly, local people, not by chains! Originally from Australia, I live in Santiago de Compostela in Galicia, the lovely green North West of Spain. I also speak good Spanish. I hope to see you in Spain for a walking or trekking holiday. If you need more information or have any questions please feel free to get in touch.